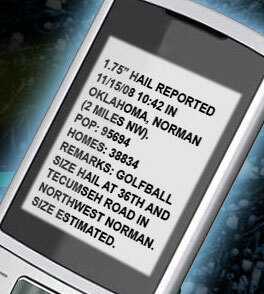 HailSWATH maps provide a geographic visualization of hail storms that occur within the United States. 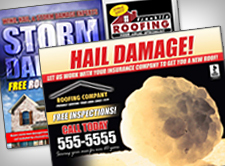 Hail paths are contoured based maximum hail size in quarter-inch increments from 3/4″ up to 4+” hail. 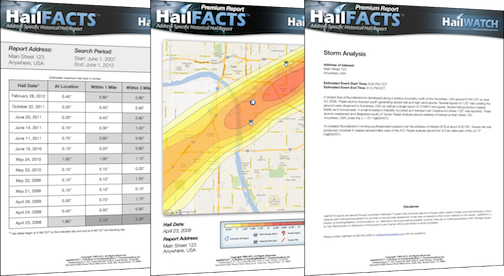 What makes our hail maps truly stand out from the crowd is the fact its based on a proprietary hail verification model proven to be up to four times more accurate than other known methods in the market who use a variation of the NSSL developed hail detection algorithm (HDA) algorithm known to overestimate the size and aerial coverage of hail storms. This proprietary hail verification model combines hail size algorithms, state-of-the-science artificial intelligence, 3-D storm models, and the best available remote sensing and point-specific weather data to objectively determine what hail size fell over a given location. The most accurate hail maps available. Know more than your competition, get more work.